The Washington DC street parking structure can be difficult to navigate, especially the DC Parking meter Hours & rates. There are 18,000 metered parking spaces in Washington DC split into different zones. We’ve created your one-stop shop for everything you need to know about metered parking in Washington D.C. so that you can avoid a dreaded parking ticket. Metered parking in Washington D.C. is broken down into two different types of areas, Premium Demand Zones, and Normal Demand Zones. Metered parking in both of these zones costs $2.30 for the most part. The difference between the zones is that enforcement hours are extended until 10pm for premium demand zones. Normal demand zones only require payment from 7AM-6:30PM local time. Meter rates are the same for commercial and passenger vehicles. Commercial vehicles can pay $323 for an annual meter parking pass by visiting the DC Freight Management website. Performance Based Parking Zones is a pilot program run by the DDOT which implements different metered parking prices based on the demand for street parking in a few specific high traffic areas in the District. The goal of the program is to reduce congestion on streets and prevent drivers from circling the block by increasing the availability and turnover rate of metered spaces. By studying data from in-ground sensors, payment transactions, and historical data, the program will be able to charge more money per hour for areas with high parking demand, and less for areas with low demand for parking. The metered rates will be adjusted every three months and posted in advance on the ParkDC project website. So, it’s not like prices will adjust randomly throughout the day, leaving drivers with increased parking fees when they return to their cars. If the project is a success, it’s possible that DDOT will expand it to other sections of the city. The first areas chosen for the pilot program are Penn Quarter, Columbia Heights, the Ballpark Neighborhood in the southwest waterfront, and a section of H Street Northeast. Rates in these areas have already been adjusted five separate times, with the latest adjustment coming on November 6, 2017. For the most up to date prices for a given time, visit the ParkDC website directly. View all of the pilot areas on the maps below to see which streets in particular are a part of the program. Red Top Metered Parking in Washington D.C. In certain high traffic areas around Washington D.C., there are designated metered parking spaces reserved exclusively for drivers with disability placards. Meters marking the spaces have red on the top of them. “Red Top Meter” parking went into effect in May of 2017, and is now enforced. For detailed information on disability parking and the location of these meters, visit the DDOT website directly. Performance Based Parking Pilot: Learn more about D.C.’s plan to limit traffic and reduce congestion with responsive parking prices. 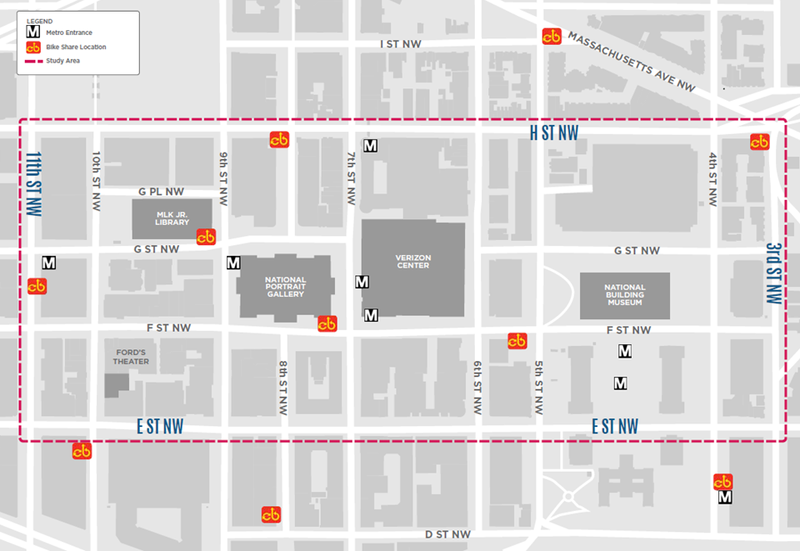 DC Parking Meter Zone Map: View a very helpful interactive map of all of the parking meter zones in Washington D.C.
Penn Quarter Metered Parking Prices: Driving to the heart of downtown Washington D.C.? View more about street parking in this popular area. ddot.dc.gov: The official resource for street parking in Washington D.C., the DDOT.